Getting organized and keeping it simple are hard to do with a busy family. 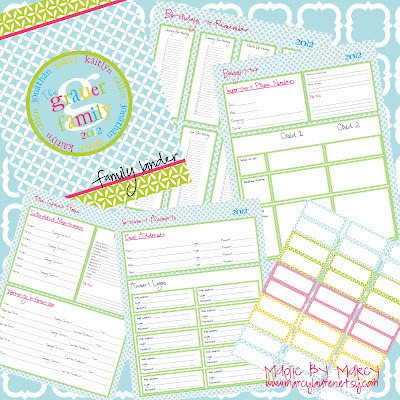 Creating a family binder with essential information, paperwork and family calendars will help you to keep it all together. These cute printables can be found at Magic By Marcy on etsy.